Click here to Jump to Pricing! 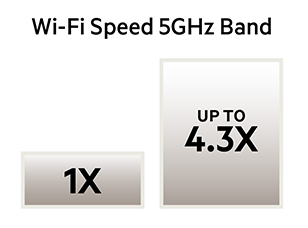 The AC1600 DB operates 4.3x faster than ‘N’ technology with combined speeds up to 300Mbps (2.4GHz) + 1.3Gbps (5GHz)*. Your entire family will be able to stream HD movies and play games on tablets, notebooks, and smartphones with the ultra-fast AC technology. The AC1600 router simultaneously uses two wireless bands--a 5 GHz media band for video streaming, gaming, and ultra-fast media sharing and a 2.4 GHz standard band for emailing, web surfing, and wireless printing. With combined speeds of up to 300 Mbps + 1.3 Gbps**, the AC1600 delivers Wi-Fi that is 4.3x faster* than wireless N technology. 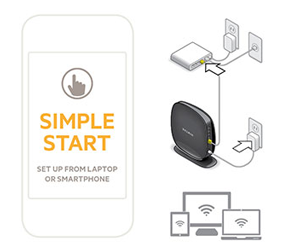 You can quickly install the AC1600 router using our Simple Start browser-based setup wizard via your smartphone, tablet, or computer. Simple Start gives you one-click access to the router dashboard, so you can easily configure the media server, turn on parental controls, or troubleshoot. 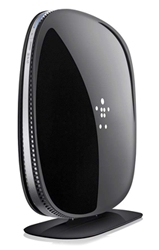 With the AC1600, you can connect to the Internet from any part of your home or backyard without experiencing dead spots. Exclusive MultiBeam technology ensures the strongest signal for streaming and gaming, even at a great distance from the router. Our Intellistream QoS (quality of service) technology automatically prioritizes high-bandwidth activities, so you'll be able to enjoy HD movies or high-end games on all your devices without interruption. 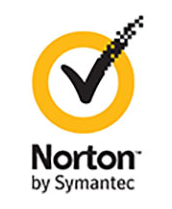 Protect your entire network with on-board Norton security and parental control software. This easy-to-use software automatically blocks unwanted content to all your devices. Four gigabit Ethernet ports let you connect additional devices and two USB ports--including an ultra-fast USB 3.0 port--enable you to add an external storage device or printer. The AC1600 is backward compatible with N and G technologies, so you can use it with older computers and mobile devices. NetConnectWorks.com is a division of Virtual Graffiti Inc, an authorized Belkin reseller.